Christi Harris CHicks Helping Other CHicks! I would like to introduce my friend Dr. Warren Katz to you. I have known Dr. Katz and his wife for over 25 years. He is an outstanding plastic surgeon with a good reputation. If you are looking to do any permanent procedures I would advise you to get at least 3 opinions then wait a month before you make your decision. The doctor can make all the difference. There are many corrective procedures you can have done that are not invasive and you get great results. You can also get amazing results with the correct make-up and contour effects. Dr. Warren Katz has been practicing cosmetic and plastic surgery in Dallas for more than 25 years. He is certified by The American Board of Cosmetic Surgery, The American Board of Facial Plastic Surgery and The American Board of Head and Neck Surgery. Dr. Katz has appeared in many national and local magazines discussing various procedures. He also appeared on CBS, NBC, ABC and CNN both performing and discussing cosmetic procedures. I called Dr. Katz to ask him 5 of the most asked questions we get from our clients to help anyone who is thinking of different options for medical procedures. 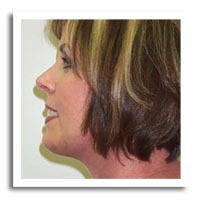 What is the difference between a traditional face lift and these "mini lifts" that I read about? 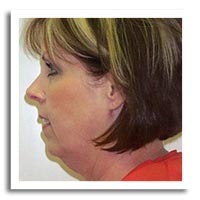 Dr. Katz: A traditional face lift is a procedure that involves lifting a large flap of tissue in the face and neck. The muscles below the skin are tightened, excess fat is removed as well as excess skin. Implants, either synthetic implants or fat grafts, may also be utilized. A "mini lift" has similar incisions. However the amount of tissue lifting and tightening is significantly less than a traditional lift. Therefore, the results are much less. Anesthesia is normally required for a traditional face lift. The anesthesia may be general or IV sedation. We prefer IV sedation (avoid general anesthetic). 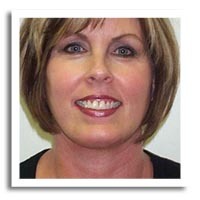 A "mini lift" can be done with only local anesthesia because much less is done. Surprisingly, the post operative course is very much the same for both procedures. What is a "liquid face lift"? Does it produce the same results as a surgical face lift? Dr. Katz: A "liquid face lift" is a process whereby fillers and neurotoxin are injected into the face to improve facial features. The results and duration of effects are, obviously, much less than with a surgical face lift. A patient should have both procedures explained before deciding on a particular procedure. Does facial plastic surgery make you look unrecognizable or different? Dr. Katz: No. Facial plastic surgery is designed to make you look rested and refreshed. Sometimes it is performed to soften a feature of your face that concerns you. With good surgery, it should not be obvious to others that you have had surgery. Do only women have facial plastic surgery? Dr. Katz: No. More and more men are undergoing facial plastic surgery. Today approximately 25% of our patients are men. What type of anesthesia is used for cosmetic surgery? Dr. Katz: Either IV sedation or general anesthesia is used for most cosmetic procedures, excluding very minor procedures which are performed with local anesthesia. We prefer to use IV sedation for all our surgical procedures. This is performed by an anesthesiologist. There is no patient awareness during the surgery. The patient is breathing on his/her own, and is not on a respirator. Normally this also eliminates post operative nausea and vomiting. 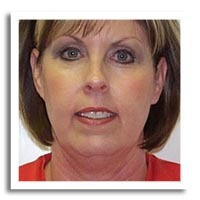 Facial surgery is specially for create well attractive and beautiful to face. Sound increase its well effective. It make good looking and fantastic to it with care. The ChinUp Mask uses cutting-edge technology to provide you all the benefits of a surgical facelift without the expense and pain of lengthy medical procedures.